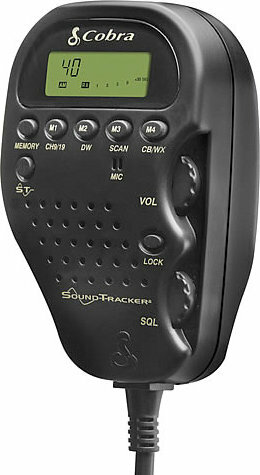 SoundTracker® The first patented technology that dramatically improves the transmission and reception of CB radio signals. 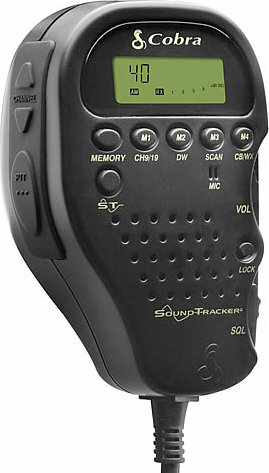 The result is a cleaner, clearer sounding CB with more "powerful" transmissions and less static or noise on reception. 40 CB & 10 Weather Channels 10 Weather Channels. Complete access to all 40 Citizen Band Radio channels. 10 National Weather Channels (7 NOAA and 3 International) provide full coverage to keep you informed of weather conditions anywhere you go. Remote Mount System Remote installation box installs out of sight under your dash and the quick disconnect allows removal of the handpiece for security or use in other vehicles. Dual Watch and Full Channel Scan Dual Watch allows simultaneous monitoring of any two preselected channels. 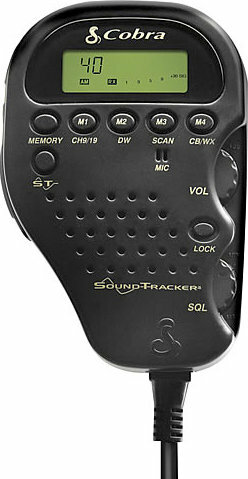 Full Channel Scan allows you to scan all 40 channels. Full-Featured LCD Display Panel All the information you need is provided from this LCD display panel. Choose normal CB channel readout or five digit frequency display.